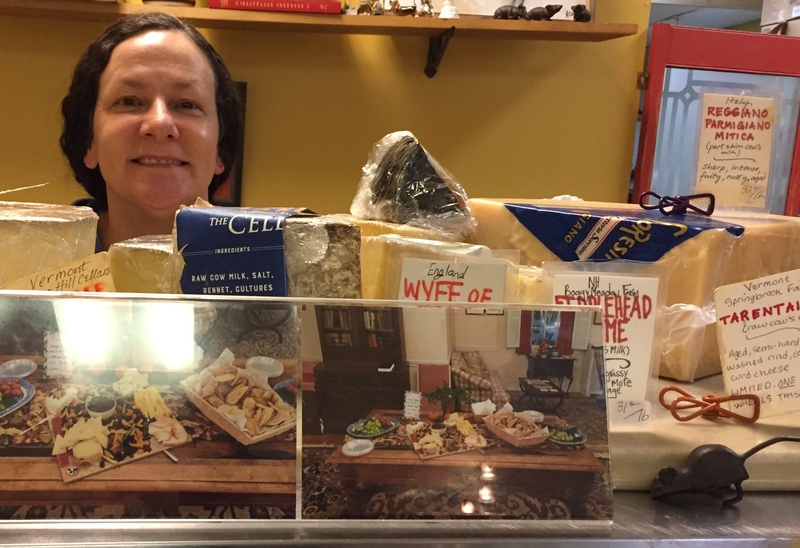 Mary Gonsalves, co-owner of Bloomy Rind in Hingham Square, and photos of the cheese platter prepared for the event. 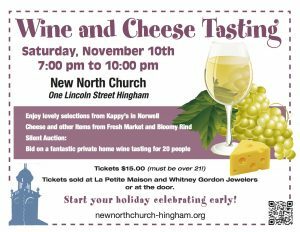 On Saturday, November 10, New North Church, 1 Lincoln Street, Hingham, will host a wine and cheese tasting event as a fundraiser to support the ongoing restoration of the ballroom and parlor in the rear wing of the historic meeting house. The tasting will be held in the church’s first-floor Ruth Curry Parlor from 7:00 to 10:00 p.m. and will feature wines provided by Kappy’s Liquors in Norwell. Paired with the wine will be a variety of cheeses from the Fresh Market at the Shipyard and Bloomy Rind in Hingham Square. Tickets are $15. Advance tickets are available at La Petite Maison and Whitney Gordon Jewelers in Hingham Square. They may also be purchased at the door. For more information, you may call the church at 781-749-2341 or send an email to pastor@newnorthchurch-hingham.org. New North is a non-denominational Christian church that worships in the Congregational style and which welcomes people from all faith traditions. Its services and programs are open to the entire community. Thanks to all who wish to help preserve and protect our historic 1806 meeting house.